The last major is all set to kick off in it’s customarily glitzy fashion, but before we look at the possible highlights of the Glam Slam, let’s first study the formbook for the summer hardcourt season. On the grass and clay courts in Europe it was the specialists on said surfaces who triumphed, welcome titles for old guard Nicolas Mahut, Mikhail Youzhny and Tommy Robredo plus two for a more recent household name: Fabio Fognini. es events in Montreal and Cincinatti. Dark horse Del Potro triumphed in Washington and must be a favourite in New York this fortnight. Things are less clear-cut on the women’s tour. Yes Serena collected wins in Sweden and the Premier event in Montreal but lost out to Azarenka in Cincinatti, the Belarussian herself falling short to none other than Sam Stosur in Carlsbad. Elsewhere there was welcome success for Simona Halep who looks dangerous – thankfully now earning column inches for the right reasons, and Shahar Peer had a fruitful summer campaign. 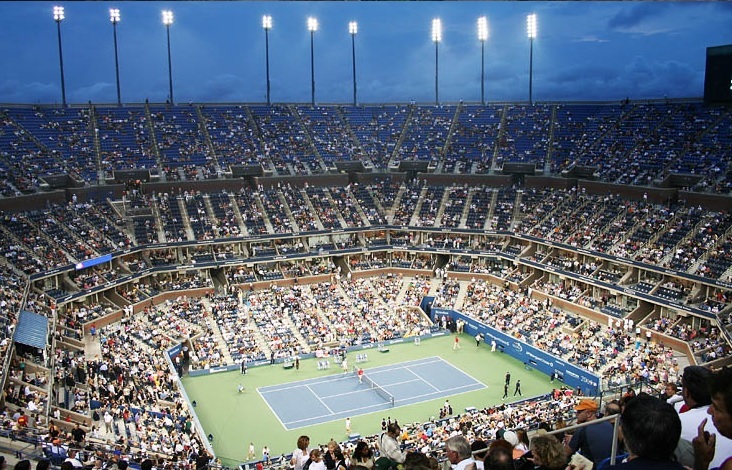 Predictions for Flushing Meadows? Well it is rather futile but I expect the biggest challengers for the men’s title to be Nadal and Del Potro, purely on the strength of their summer season post Wimbles. Never discount Djoko or Muzza however, such is their gear-shift come the slams. But Murray in particular looks a little lax – and this is more than reasonable given his heroic last twelve months. Either way – it is the quarter finals in New York that look truly mouthwatering if the draw plays out to form. For the women we can never look past Serena – especially with Sugarpova absent. But Azarenka, Radwanska (who had a poor run in to NYC ) and now Stosur look up for the fight. One recent addition to the top ten and possible contenders here would’ve been a certain Frenchwoman, now sadly gone from the game almost immediately after she helped to re-ignite it. 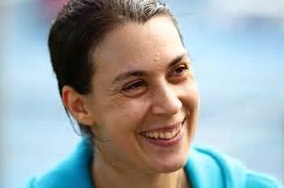 We say a sad Au-revoir to the curio that was Marion Bartoli, a player who attracted followers due to her awkward style, undoubted talent and fascinating persona, and not from posing in next to nothing or making all-too suggestive shrieks with every swing of her racquet.